To stay competitive in today’s photography industry, you must try to do things that others cannot (or will not) do. When it comes to photography, it is getting harder to distinguish yourself just from posing and camera equipment. 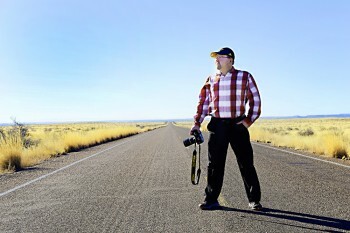 What is left is uncharted territory for many photographers – lighting. 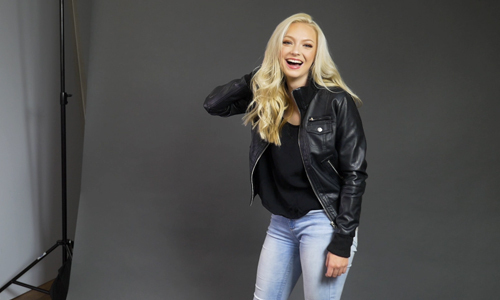 With many new photographers claiming to be “natural light” photographers, this leaves a wonderful opportunity for many photographers to experiment with artificial lighting. Whether it be strobes, speed lights or LED constant lighting, artificial lighting can be used to really distinguish your look. I evaluated two sets of LED constant lighting from Savage Universal Corporation. 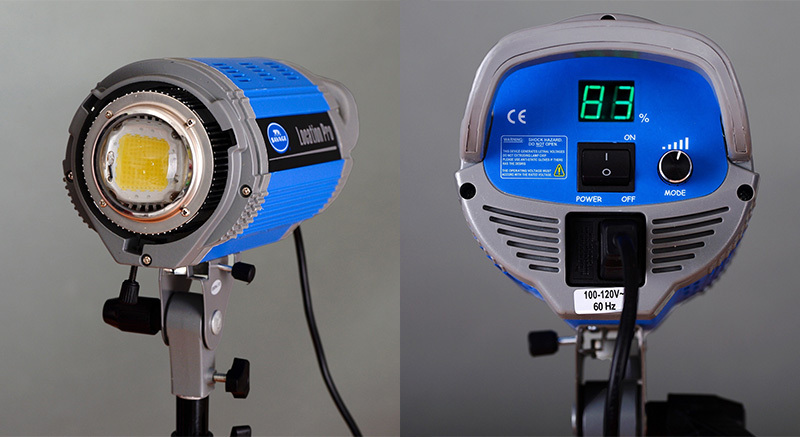 The first is their 2000 Watt Location Light Kit and the second kit is their Cobra Interview LED Light Kit. Both kits were provided to me for review purposes and I have used them in a variety of situations for this review. 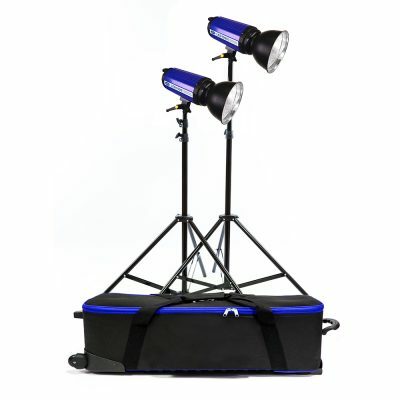 This kit includes virtually everything you need for lighting on location and comes with two 1000 watt daylight balanced LED heads with AC power cords, two reflectors, two heavy duty stands and a carrying case. The heads are constructed of heavy-duty metal, which will provide many years of reliable service. One main advantage is that the heads keep cool to the touch, even when running at full power. Normal halogen constant lighting heads usually approach the temperature of the sun and you feel like you need to apply sunscreen, just to work with them. Each 1000 watt head can be adjusted incrementally with a dial on the back that indicates the output in a digital display for precise adjustment. Each light puts out 13,000 lumens at full power when the included reflectors are used. It would take a 1000 watt incandescent bulb to generate that kind of light. That is why Savage calls them 1000 watt lights even though they’re actually only using 100 watts of electricity. The included reflectors attach to the heads via a Bowens attachment and have a slot for umbrella installation. You can use the 2000 watt units with shoot-through or reflector umbrellas for the look you want. Accessories, such as soft boxes and other attachments area easily installed to the heads via Bowens compatible attachments. Power up is simple. Just attach the AC cord and flip on the switch. A display on the back will show the output of the head and is adjustable from 0-99. There is a fan inside that will cool the internal components, which is fairly quiet. Using the heads gives you tons of control, Because it is a constant lighting system, what you see is what you get. Cameras are set just like working with natural lights, with the white balance very accurately calibrated to approximately 5500K. You set your shutter speed and aperture according to your needs and adjust the distance and intensity of the light. There are no more “take a photo —> evaluate —> move light —> take another photo —> evaluate —> move light —> repeat until correct”. Getting the perfect lighting is dramatically improved and literally takes seconds. 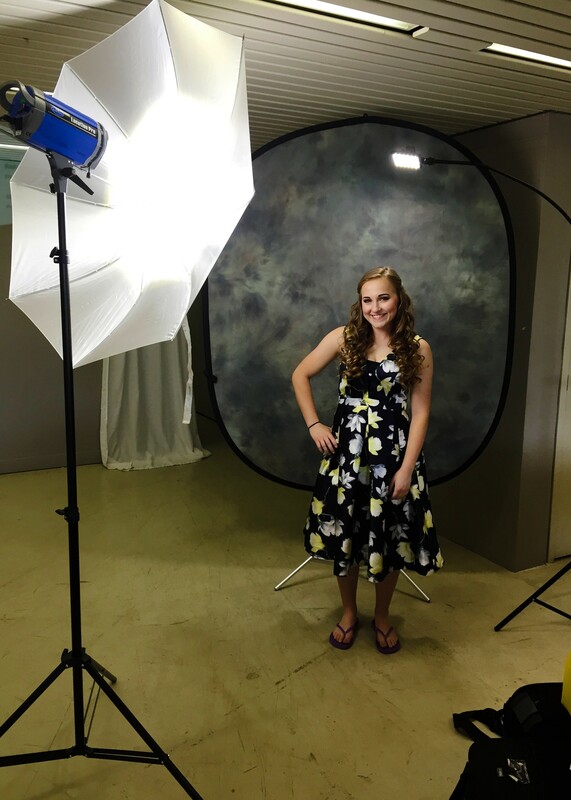 The heads provide ample light for head shots, modeling portraits, creative lighting photography and location portraits. I even plugged the units into a portable battery (I was using a Paul Buff Vagabond Mini), which easily gave me 20 minutes of constant photography, when power wasn’t available. I believe there was still between 1/2 and 1/4 power left in the battery. The fan produces a slight noise, so these heads are not ideal for video and interviews. You would most likely pick up some noise from the fans, so this is one minor drawback to their use. I have used this kit for easy headshots and on location for portraits, where there was shade. Lights were set up at 3 feet from my subject. My main light (the one at 90 degrees) was situated about 3 feet from the subject. My fill (the 45 degree light) was set about 6 feet away and slightly higher than the subject’s head. 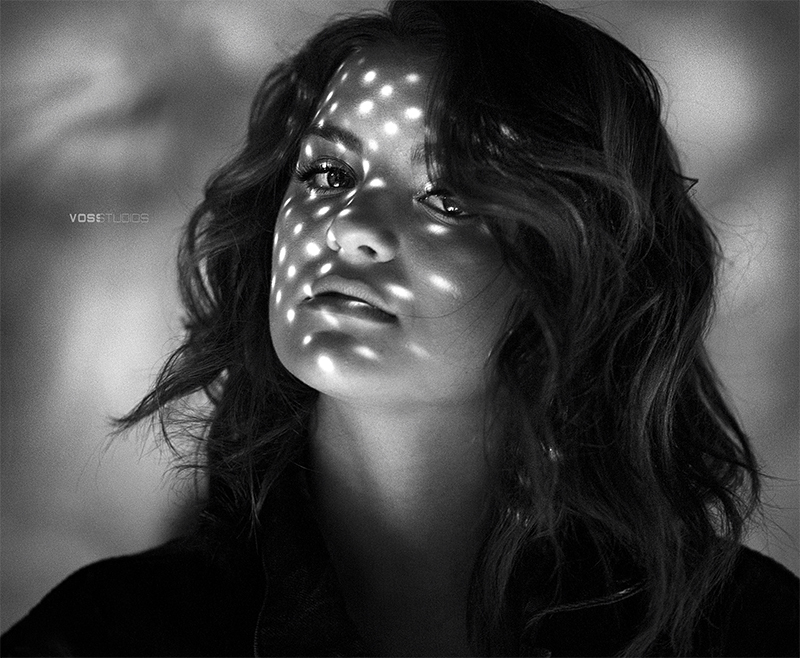 Each light head was equipped with a shoot through umbrella, which provided a nice diffused light source. My camera settings on my Nikon D750 were set to ISO 400, 1/200 and f4.0. This gave me proper exposure at full power. By moving the lights in, you can gain additional light and adjust your settings for greater depth of field or lowering ISO. I also used this kit on location for a themed zombie shoot. We were shooting in late afternoon and evening. I used one of the heads with the reflector to provide harsh direct spotlighting. This was perfect for this look. The cone of light created a nice sharp swath of light and very distinct shadows. Later on, using both heads, we were able to take plenty of portraits that allowed for precise lighting. With strobes, it would again be shoot —> move light —> reshoot —> etc. The constant light heads and umbrellas were set up in less than 30 seconds with perfect results the first time, since you could see what you were shooting. These heads were also used outside at night for a really interesting look. Because you can adjust the power on each head, I was able to adjust each light for the look I wanted. Even though there was no power, each head was able to plug into a portable battery (Paul C. Buff Vagabond) and still get the shot. This isn’t an optimal situation, but can be accomplished for short durations when power is not available. Overall, this is a very useful kit that can be used by creative professionals who want to see the light they are shooting in, before having to fire away. There is no refresh rate, so you can fire rapidly to get perfect timing in your shots. These also make excellent lights for baby photographers, as you can set the light before firing and not disturb the baby. They also do not get hot, which is a bonus for small studio spaces. 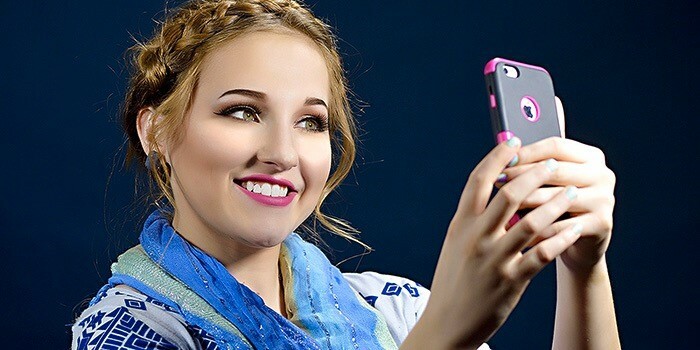 Headshot are a breeze, as you can run thought a number of people with minimal adjustments. Again, seeing the light before you shoot allows for micro adjustments on the fly. The Savage 2000 Watt Location Kit retails for $599.99. Additional heads cost $269.99. 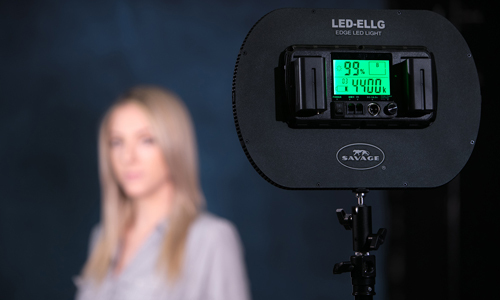 The second constant lighting kit in Savage Universal’s arsenal is the Cobra Interview LED Light Kit. This kit comes in a rolling bag and is outfitted with three innovative Drop Stands™, a flexible “boom” arm, counterbalance, three 204 chip LED panels, batteries, 9’ AC power cables and wall chargers. This is a lot of product that creates a complete kit. The Cobra Kit is designed as an interview kit or for photographers/videographers operating in tight spaces. 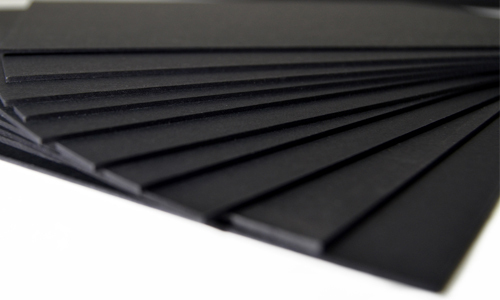 Each LED panel contains 204 LED chips that produces about 1,400 lumens of light at 3 feet. The back is equipped with an infinite adjustable power dial, as well as a dial for adjusting the color temperature output. The lights have a CRI index of 91 and are infinitely adjustable from 3200K to 5600K, which allows you to match whatever is your absent lighting source. The lights are powered by high capacity NP-F750 Sony batteries for 3 hour run time at full power, a wall plug recharger and a 9 foot 120v power cord, that plugs into the back. Each light also comes with an adapter that connects the light to a 1/4” threaded tripod or hot shoe. The Cobra Interview Kit contains 3 lights, chargers and plugs, but additional lights can be purchased separately. The best part of the Cobra Kit is the addition of Savage Universal’s innovative Drop Stands™. The Drop Stands allow for lightning quick setup. This is great for moving around in tight spaces. These are like traditional light stands, but the legs automatically deploy and retract when you lift and set them onto a hard surface. They work that easily. Just loosen screw holding the legs for travel, place the stand on a hard surface and the legs “spring” into position. 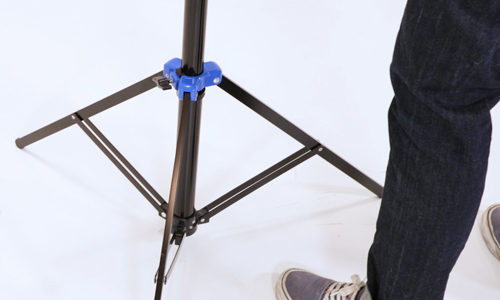 To move, lift the stand and the legs retract back against the pole for easy carrying. These Drop Stands work simply and are a huge convenience, especially when trying to maneuver through doorways, through a crowded dance floor or in any space where light stand legs typically crash into items. Because this is designed as an interview kit, Savage has included their “Cobra” arm and counterbalance. The Cobra arm is a 40” flexible extension that attaches to one of the Drop Stands, which allows precise placement of a hair or backlight. One of the LED lights attaches to one end of the Cobra arm, while the other connects via a threaded end to the Drop Stand. The counterbalance clamps on to the Drop Stand and extends out approximately two feet and is fitted with a weight at the end. This allows the Drop Stand and Cobra arm assembly to remain rock solid. The final pieces of the LED Cobra Interview Kit are two connectors to adjoin one or more of the LED panels to each other for more power or a wide beam of light. Everything is stored in a nylon, zippered rolling case. This makes for super easy transport to and from your venue. In use, the color of the lights are very accurate. Designed for closer up interviews, these lights lose their effectiveness at about 3 feet or so. You can increase your ISO, decrease shutter speed or depth of field, but their real purpose is for closer work. With the infinite power dial, you can create whatever lighting you wish. The Cobra arm is perfect for a hair light and allows you to gain separation from your background. There are no fans or noise, so these units are perfect for interviews or video work where ambient noise would be distracting. I found myself shooting at around ISO 800, with a 1/125 shutter speed and lens stopped down to around f4.0 to f8.0. This gave me good light and a nice capture that wouldn’t impart shake. The higher ISO didn’t bother me, as most newer cameras have noise reduction that easily allows for ISO 800-1600 before any discernible noise is evident in a photo. Where I like this kit is at weddings and for interview work. Dance floor photos of a couple are always dicey with flash. By using the LED Cobra lights, I can prop one quickly with the Drop Stand for background/accent light, while another is used for main lighting. 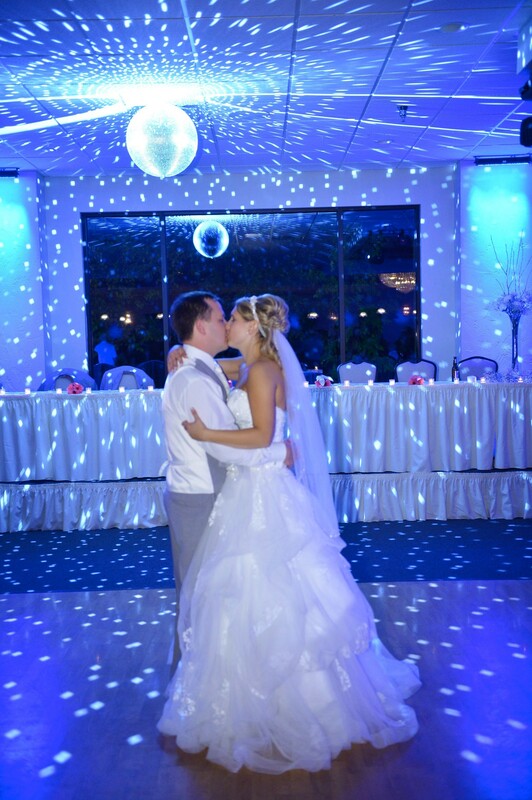 Because the color temperature can be adjusted, I can dial in the proper balance of warmth to make the image pop and match the ambient or DJ lighting. For interviews or location shoots, the Drop Stands allow for quick setup in tighter locations, with the Cobra arm allowing me to have hair light for a professional appearance. The lack of fans does not interrupt the interview or create any outside noise. The ability to quickly adjust the power of each light, gives me the capability to create the ratio of lighting I desire. Perfect for well lit or dramatic interview sessions. The Savage Cobra Interview kit retails for $659.99 at the same online retailer. Additional LED lights cost $107.99. 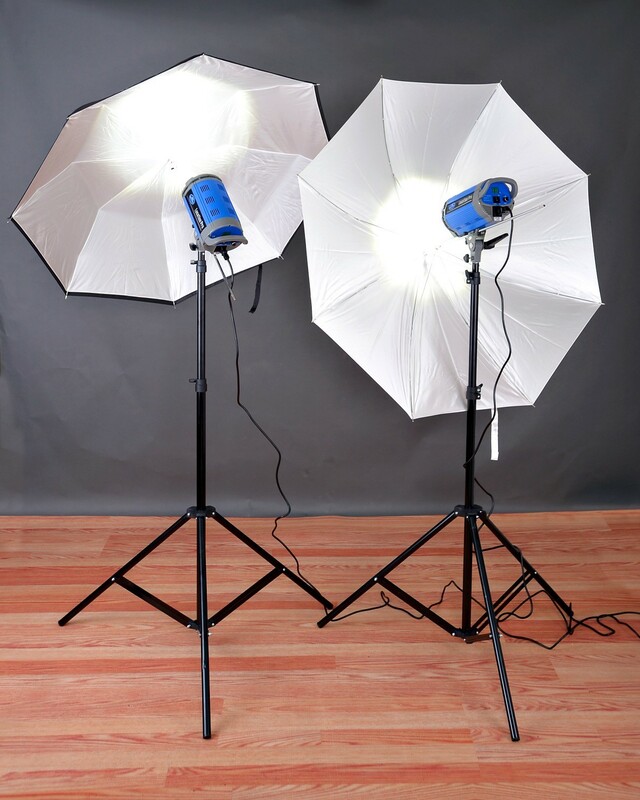 This is an inexpensive way to add additional lights for more complex setups. It is a luxury to be able to have both kits to work with. Each kit has its advantages. Combine the two and you have endless possibilities. The 2000W Location Light Kit heads provide a nice punch of light for your main and fill light, while the Cobra Interview LED panels can be used for kicker, background and hair lighting. We used this at the WPPI trade show earlier this year, as well as at two conferences in Ohio and Massachusetts this summer. The audience saw these kits in action and lost their minds. 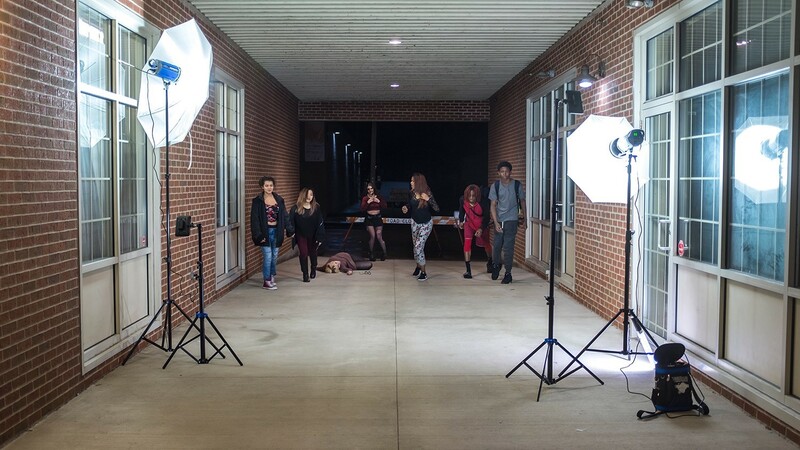 They saw how quickly you could set up your lighting, perfect the direction and intensity, and start shooting. Portraits came out perfect and were very nicely lit. 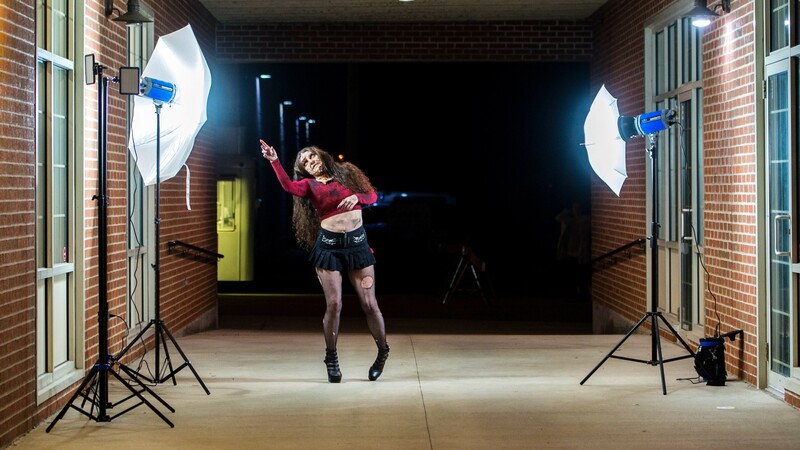 If you struggle to understand lighting and strobes, these allow you to dial in what effect you are doing a lot faster than working with strobes. If working with babies or other subjects that may get distracted or startled by strobes, these are ideal, as there is no strobe “pop”. If you are working on a project where you want to see the light falling before firing your camera, constant lighting is one of those “you see what you get” products. For location work that has limited space, the LED Cobra Interview Kit is outstanding for allowing setup in tight spaces. Will these take the place of strobes? Probably not. 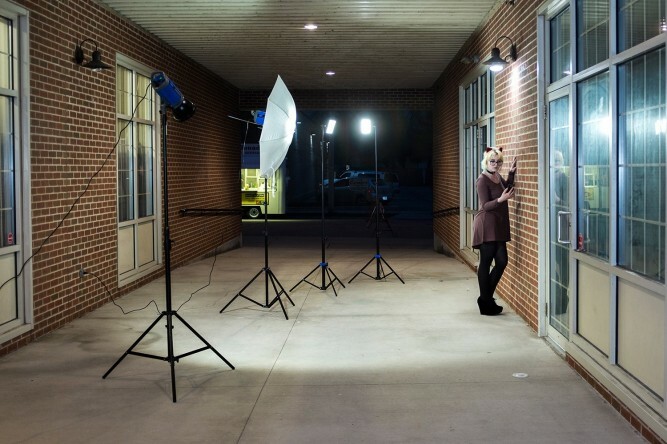 However, if you want a little more flexibility in your lighting arsenal or want to create different looks with constant lighting, the two kits from Savage Universal are just the ticket for you.